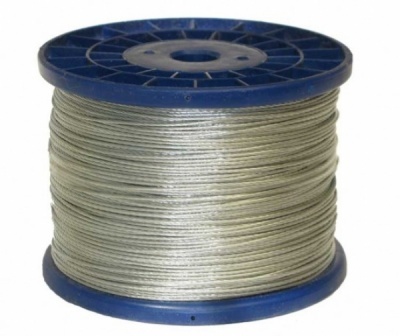 This product is even stronger than our standard stranded steel plus it comes on a reel. Available in 200m and 400m rolls. The big advantage of stranded steel wire is that it can be used on a reel as it will wind back on to a drum. Please note Stranded Steel Wire is not a high tensile product and should not be over tightened.